Hatley Trust Auction - 273.5 Acres | Kurtz Auction & Realty Co.
To benefit the Bill and Louise Hatley Endowed Scholarship with the Murray State University Foundation, the Louise Hatley Trust, through First United Bank and Trust Co./Trustee has authorized Kurtz Auction and Realty to sell the following regardless of price. 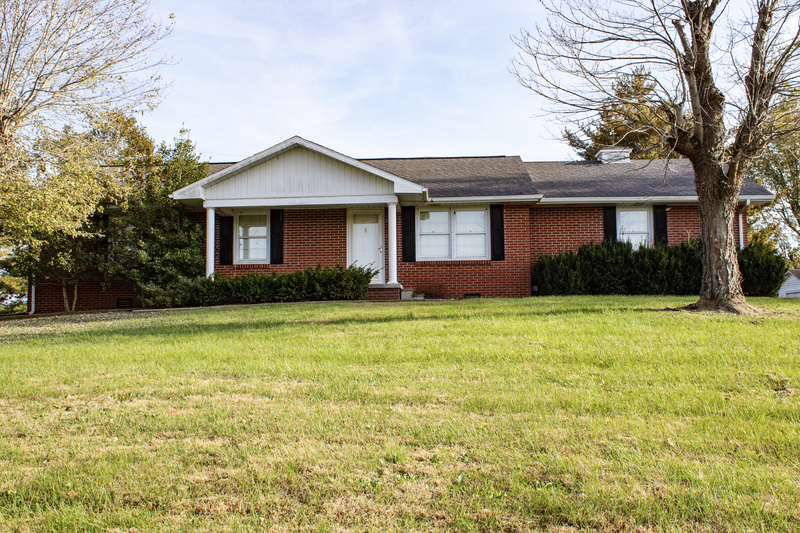 Tract #1 – 185 Bob Hatley Road- This tract consist 2.77 acres of vinyl fenced land featuring a brick home with three bedrooms, kitchen, dining area, living room, one bath, attached garage, central heat and air, and replacement windows. This tract also has a Farmstead slant wall building, an implement shed, a small utility building and a stocked lake. 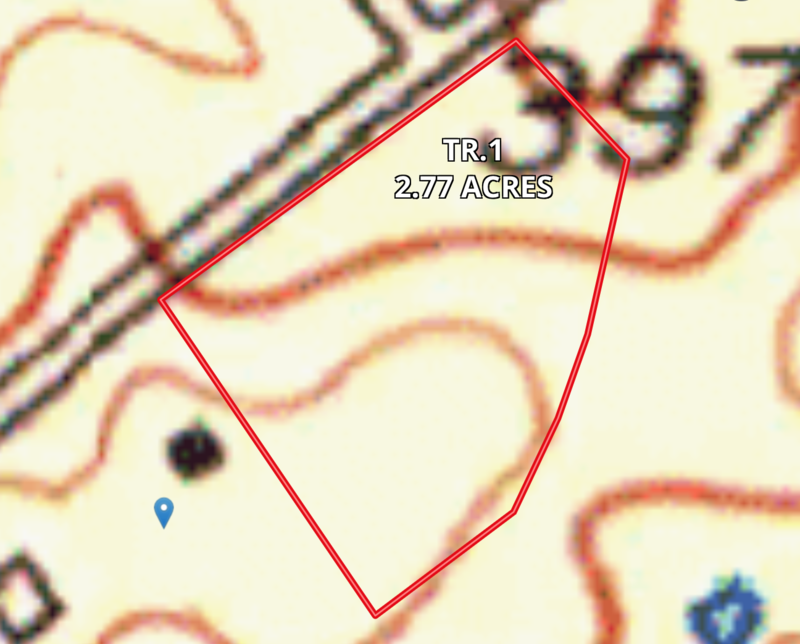 Tract #2 – 229 Bob Hatley Road- This tract consists of 1.14 acres and is the original Hatley Homeplace. 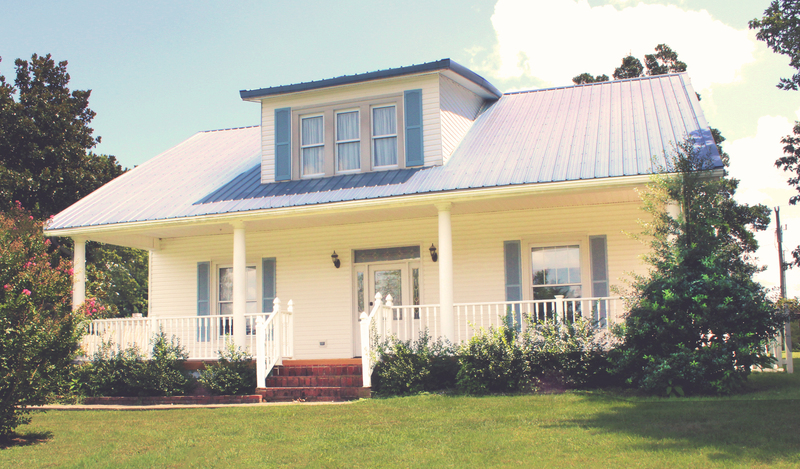 The beautiful, two-story home has been completely updated while keeping that original farmhouse feel. Features include: Main level- Eat in kitchen with island, dining room, full bath, formal living room, family room with fireplace, office/flex room. Second floor-Two bedrooms, flex room, half bath. Other features include original hardwood floors, beedboard ceiling, and woodwork throughout the house, metal roof, replacement windows, central heat and air, Generac 17 KW generator, attached two car garage w/breezeway, canning room, storm cellar, and is partially fenced with vinyl fencing. This tract sells subject to an easement for the benefit of Tract #1 for the use of the asphalt driveway. Tract #3 – 24.99 acres +/- with 389’ frontage on Bob Hatley Road, 685’ on KY Hwy 109, and 894’ of on KY Hwy. 143. This tract consists of highly productive tillable acres. The primary soil types are Hosmer, Zanesville, and Belknap silt loams. Tract #4 – 27.34 acres +/- with 1,201’+/- frontage on Bob Hatley Road, 1,048’+/- on KY. Hwy 143 and 1,028’+/- on Ky. Hwy 1672. 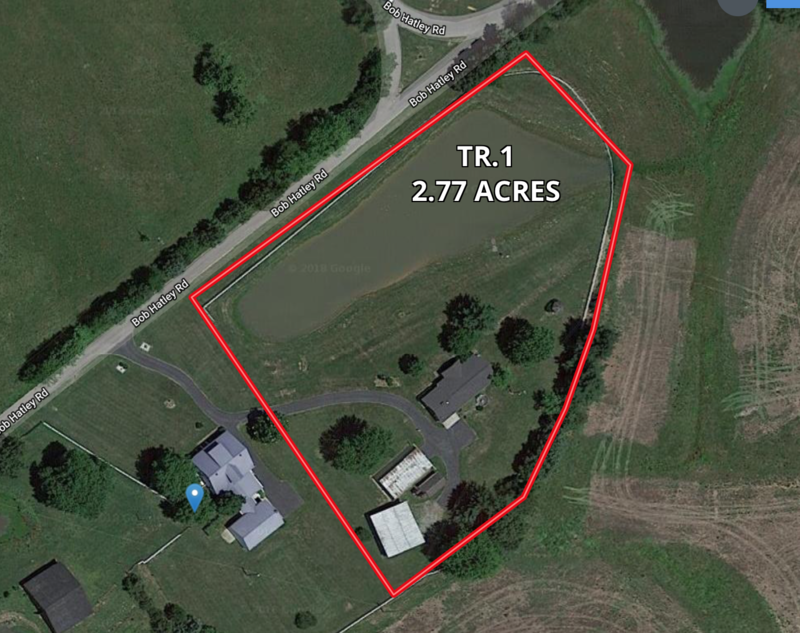 This tract consists of highly productive tillable acres, a small pond, and a barn that is in good condition. The primary soil types are Hosmer, Zanesville, and Belknap silt loams. Tract #5 – 3.69 acres +/- with 384’+/- frontage on KY Hwy. 143 and 515’+/- frontage on Ky. Hwy 1672. Primary soil type is Hosmer silt loam. Tract #6 – 24.87 acres +/- with 61’+/- frontage on KY Hwy 143 and 705’+/- frontage on KY Hwy 1672. This tract is gently rolling and consist of highly productive tillable acres/pasture land with a small pond, hay barn and implement shed. Primary soil types are Hosmer and Zanesville silt loams. Tract #7 – 47.89 acres +/- with 1,123’+/- frontage on KY Hwy 1672. This tract consists of gently rolling highly productive tillable acres with a small pond. Primary soil types are Hosmer and Zanesville silt loams. Tract #8 – 51.20 acres +/- with 2,393’ +/- frontage on KY Hwy 1672. This tract consists of gently rolling highly productive tillable land. Primary soil types are Hosmer and Zanesville silt loams. Tract #9 – 68.60 acres +/- with 51’+/- footage along KY Hwy. 1672. This tract consists of rolling wooded and pasture land. Primary soil type is Welston silt loam. This tract offers excellent hunting and approximately 35 acres of marketable timber as reflected in recent timber cruise. Tract #10 - 14.84 acres +/- with 1031'’+/- frontage on KY Hwy 1672. This tract consists of gently rolling tillable acres. Primary soil types are Hosmer and Welston silt loams. Tract #11- 6.58 acres +/- with 883’+/- frontage on KY Hwy 1672. This tract consists of gently rolling tillable acres. Primary soil types are Hosmer and Welston silt loams. Case IH MX110 tractor w/ Bush Hog M646 loader; Bush Hog 2615 Legend hydraulic fold mower; Panorama 11 wheel hay rake; Case IH 245 Turfchamp tractor (541 hrs); Case IH auto 8465 round baler; New Idea 5409 disc mower; Bush Hog 720 6’ finish mower; Kawasaki Mule 3010 4x4 (188 hrs)John Deere 110 disc; Allis Chalmers no till planter (4 row); Massey Ferguson 11T 3pt. chisel plow; Bush Hog 4’ 3pt. tiller; quick hitch; category 2; Rhino 900 7’ grater blade; 16’ tandem trailer; antique railroad cart; tripod hay needle and others; Lincoln hydraulic greaser; Ariens front tine tiller; Craftsman 5hp 22” weed trimer; Devilbliss 5hp 20 gal air compressor; Homelite 2500 watt generator; Lincoln 225 welder; Salamander heater; Herd seeder; Craftsman 42” lawn sweeper; misc. hand tools; Craftsman roll around; primitive plows; horse hames; crocks; vintage enamel top table; Dazey churn; and more.